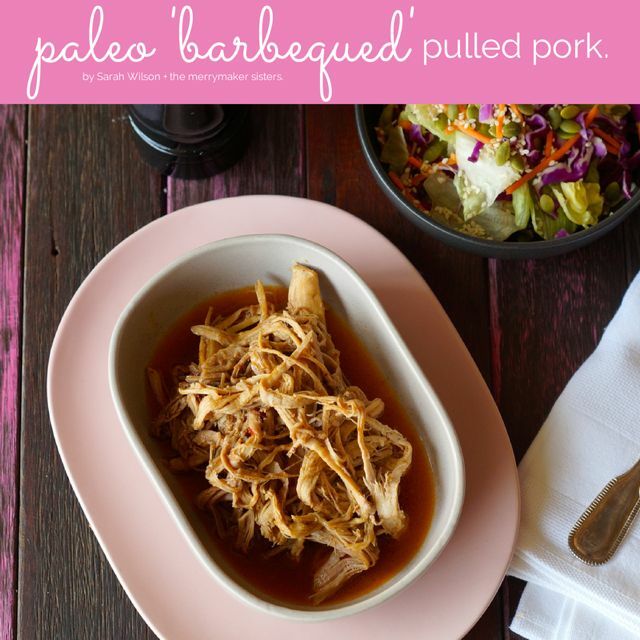 Sarah Wilson’s Sugar Free Paleo Barbequed Pulled Pork. 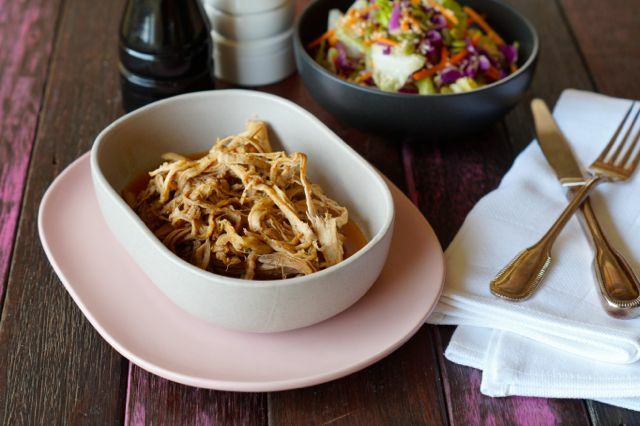 This Sugar Free Paleo Barbequed Pulled Pork is seriously good! 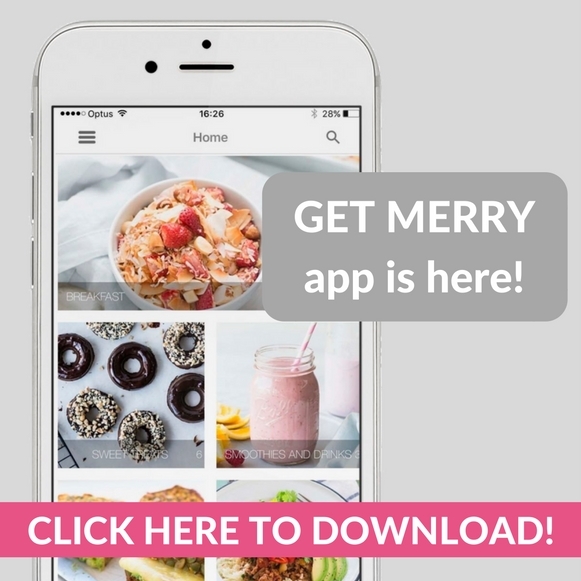 We were lucky enough to review the ever-amazing Sarah Wilson’s I Quit Sugar Slow Cooker Cookbook and this is just one of the 85 drool worthy paleo recipes! We made it on a Monday and had a super delish, porky week! 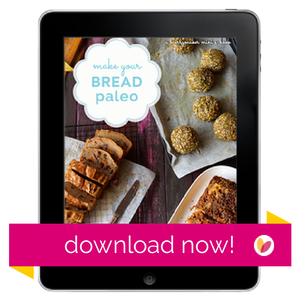 Our favourite paleo pulled pork moment was when we accompanied it with coleslaw and our super seed paleo bread rolls from our ‘make your bread paleo’ eBook. 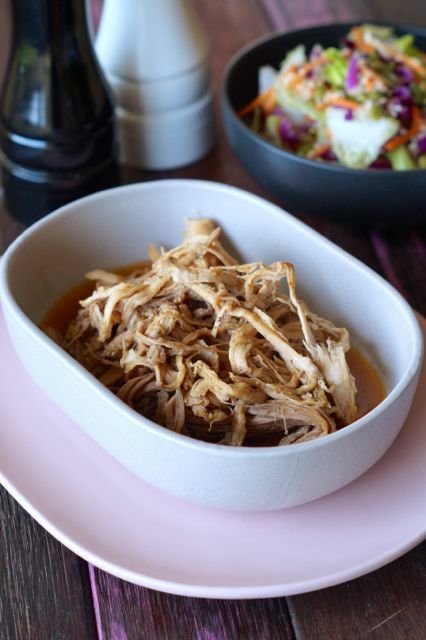 If you want to read our review on the I Quit Sugar Slow Cooker Cookbook click here but if you’re just here for the Sugar Free Paleo Barbequed Pulled Pork…. enjoy! 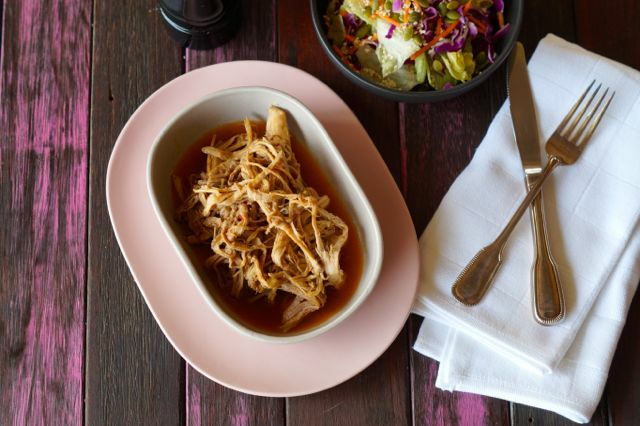 Sarah Wilson's Sugar-Free Paleo 'Barbequed' Pulled Pork. The night before, mix all of the herbs, spices, salt and pepper in a bowl (except the bay leaves). Rub and massage it all over the meat, rubbing really well in to the fatty bits (you want to get that flavour in there!). Place it in to the slow cooker and in to the fridge overnight (at least 2 hours). In the morning add the rest of the ingredients and cook on low for 8 hours or high for 4 hours. When it's ready, use two forks to shred and pull apart the pork and allow it to cook for a further 20 minutes.